This map demonstrates territory of Italy, of Serbia. topographic map of Kraljevo this. actual map of Donja Gorevnica и OziExplorer calibration download for free. topographic map of Kamencka Mala with gps calibration here. actual map of Srmusnjak и OziExplorer calibration download for free. topographic map of Lucica with gps calibration free download. interesting map of Panjak download for free. 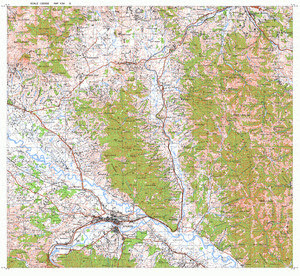 free map of Borcanska Mala и OziExplorer calibration this. topographic map of Sudimska Mala with gps calibration presented. topographic map of Grabovska Mala with gps calibration for gps. map of Magnohrom calibrated for gps. topographic map of Petrovac и OziExplorer calibration displayed. actual map of Porede for gps. topographic map of Capljak with gps calibration free download. actual map of Rocevici here. interesting map of Nikolici with gps calibration for gps. free map of Sajkovac 1 cm to 1 km for gps. actual map of Zica и OziExplorer calibration for Garmin.